Virtual wall, match smart vacuum cleaner. Customized clean area. No blind area. 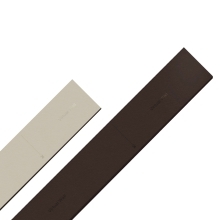 Lightweight high strength magnetic stripe. No battery inside, no need external power source. 2m long, you can cut it for any shape as you like.